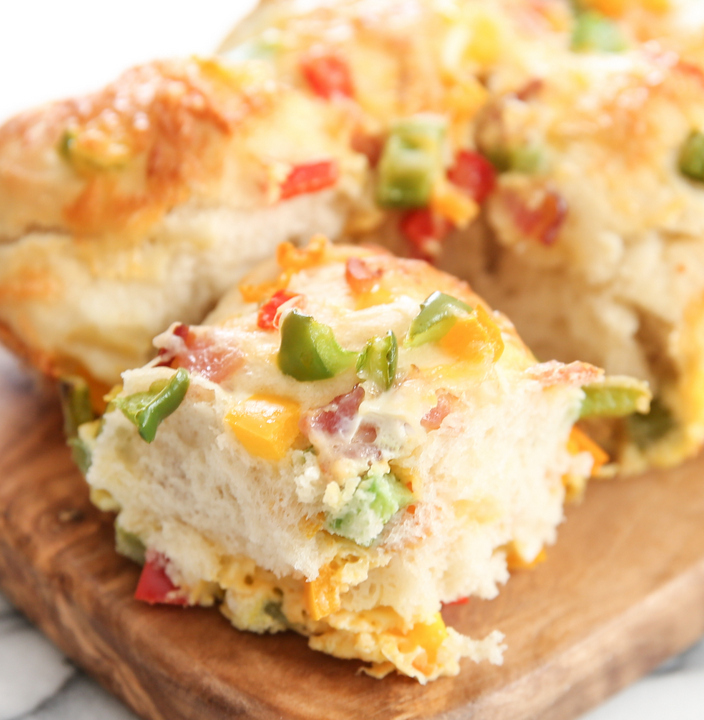 This fluffy pull-apart bread is mixed with melted cheese, bell peppers, bacon, and eggs. It’s breakfast wrapped in one neat package. I’ve had breakfast on my mind a lot lately. Maybe it’s all that talk about Easter brunch. So I made this breakfast pull apart bread. The prep for this bread, including rising time, is only 20 minutes. Easy peasy. And it tastes delicious. 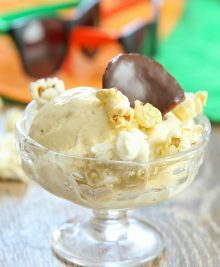 I had a lot of fun playing around with this recipe and I’m sharing several variations. 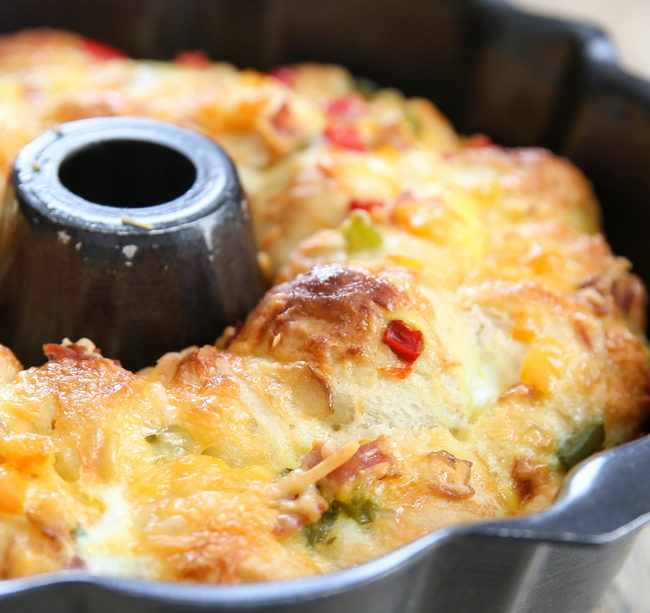 You can bake it in an angel food pan or a bundt pan. Or you can make loaves too. Please note, when you bake it in the cake pan, it does need longer to cook because of the multiple layers. Also, because this is bread and not biscuits, the bread merges together more, so you don’t have very distinct pull apart pieces. 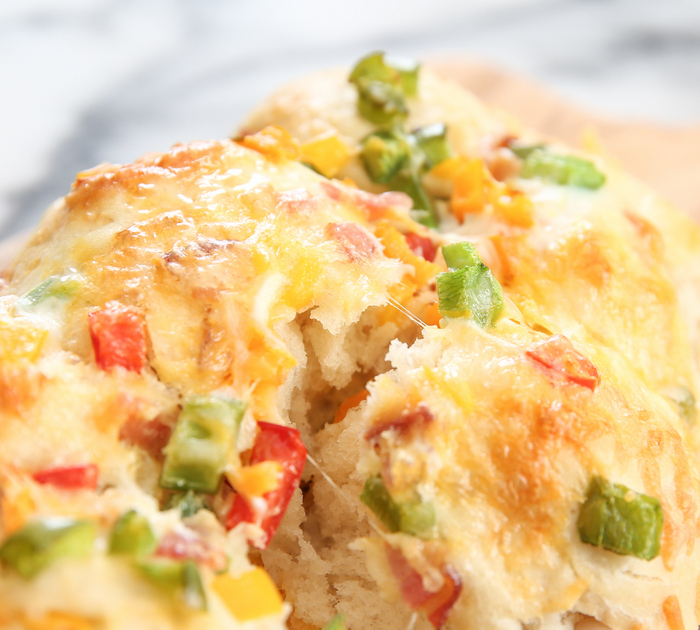 However, what you do have, is a fluffy bread with lots of peppers, cheese, and bacon pieces stuffed inside. When you bake it as a single layer of rolls in a loaf or baking pan, it doesn’t look as cool, but it’s much easier to pull the rolls apart, and the single layer means less baking time. While I preferred the look of the cake pan, I found the single layer rolls a little easier to deal with. I’ve provided both variations below. 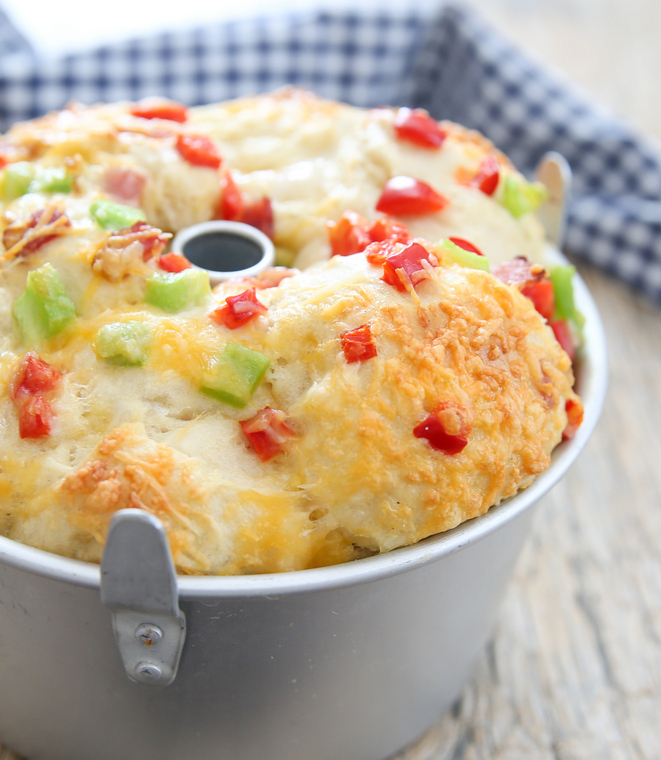 This fluffy pull-apart bread is mixed with melted cheese, bell peppers, bacon, and eggs. It's breakfast wrapped in one neat package. 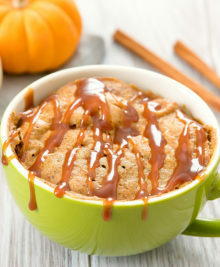 Depending on the type of pan you have to use I've included instructions using both a bundt (cake) pan and loaf pans or 9x9 baking pan, so be sure to review the notes section before you get started! Grease whichever pan you plan on using. You can also line with parchment paper to make the bread easier to remove after because the egg mixture tends to stick to the pan. Preheat oven to 400°F. In a large bowl, add warm water and sprinkle yeast on top. Let sit for 5 minutes. Add in salt, sugar, oil and egg. Add in flour and mix until a dough forms. Knead dough in mixer or by hand on a floured surface for 5 minutes until dough is soft and elastic. It should be sticky, but still manageable to work with. For bundt/angel cake pan: make your dough balls very small, about 1 inch in diameter. 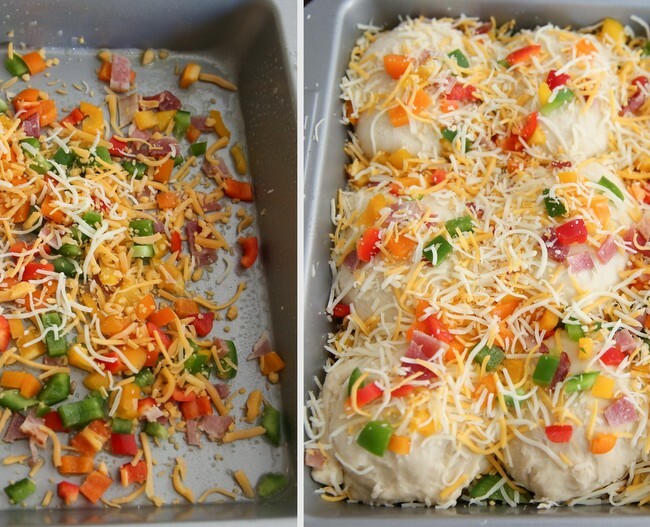 For single layer rolls in a square baking pan or loaf pans: split dough into 16 pieces and form balls. For cake pan: Sprinkle 1/3 of your topping ingredients (don't use the whisked egg for this version as explained in the notes section) evenly across the bottom. Line bottom of the pan with balls, like the photo in the post. 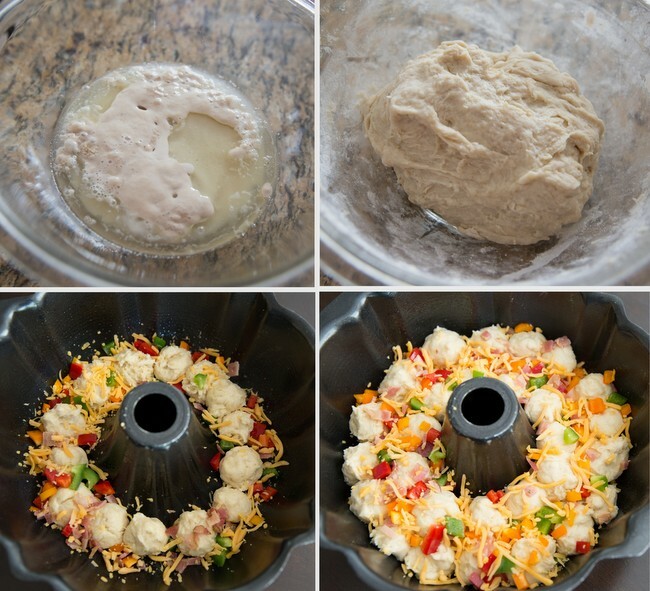 Sprinkle additional 1/3 of your topping ingredients evenly across the dough balls in the pan. Line a second layer of dough balls. 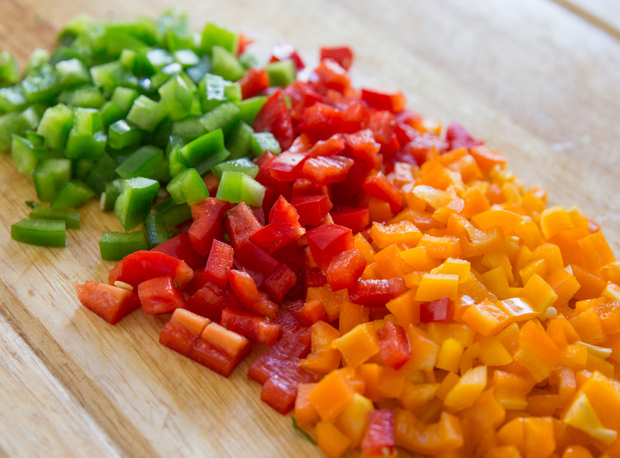 Sprinkle remaining ingredients. Cover pan(s) with a paper towel and let rest for 10 minutes. Place bread in the oven on the lowest rack. For cake pan: bake for 15 minutes. Then put a foil tent over the top to keep it from burning. Bake for an additional 15 minutes or until bread is fully cooked. 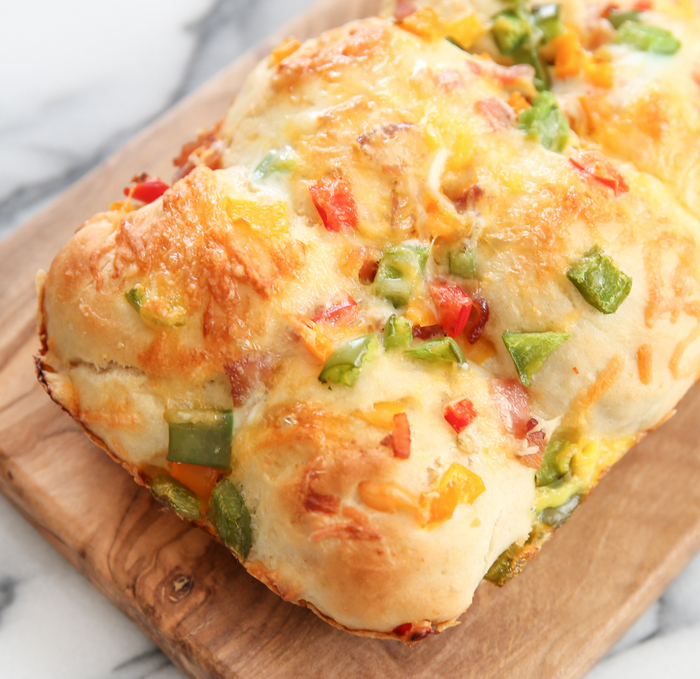 For single layer loaf or baking pan: Bake for about 15-20 minutes or until bread is fully cooked. Bundt (cake) Pan Notes: You can make it in a bundt pan or angel food cake pan. 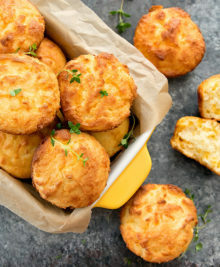 The bread will come out looking quite nice on top and you'll have fluffy bread bites with topping ingredients mixed throughout. 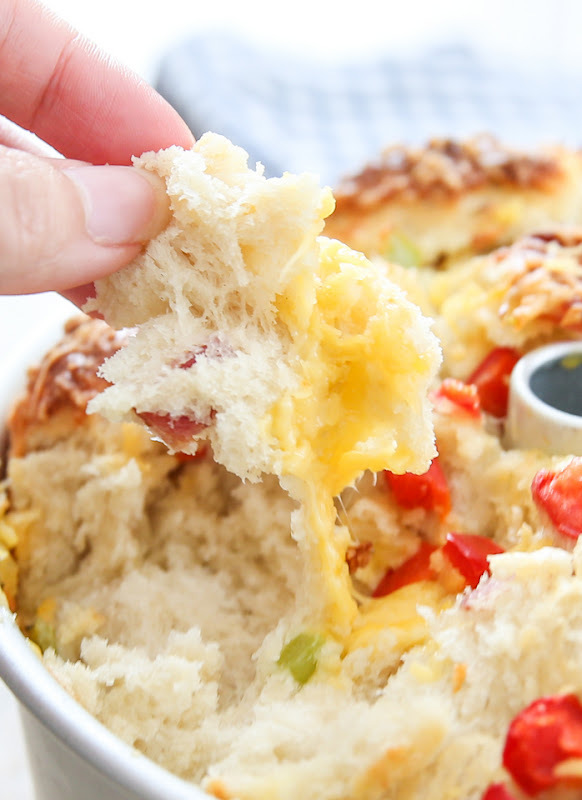 However, it takes longer to cook and the bread balls will fuse together a lot during baking, so you won't have the distinct pull apart pieces and so you'll want to slice the bread into pieces for serving. Also if you make this version, leave out the egg topping because the egg at the bottom of the pan will burn during the longer cooking time. 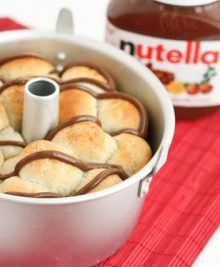 You can also make it as a single layer of rolls either in two loaf pans or one 9 x 9 baking pan. 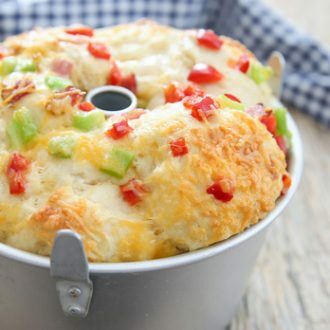 These rolls will easily pull apart, though the topping ingredients will only be on the top and bottom and not inside the bread. I prefer this single layer pan method. What a fun idea, cant wait to try this. Pinned!